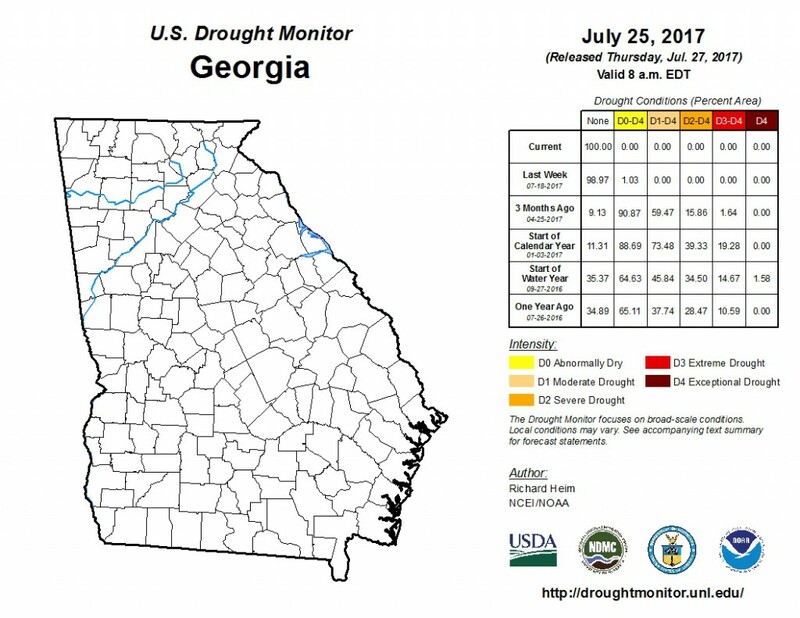 As a result of the recent rains across the Southeast, the Drought map for Georgia this week is all White — No Drought Conditions. 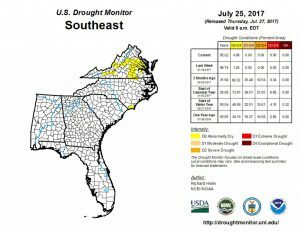 For the contiguous 48 states, the U.S. Drought Monitor showed 10.98 percent of the area in moderate drought or worse, compared with 10.58 percent a week earlier. 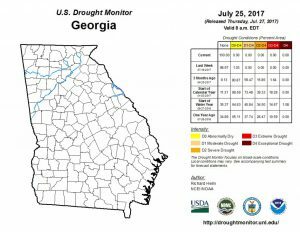 Drought now affects 18,307,190 people, compared with 18,740,169 a week earlier. 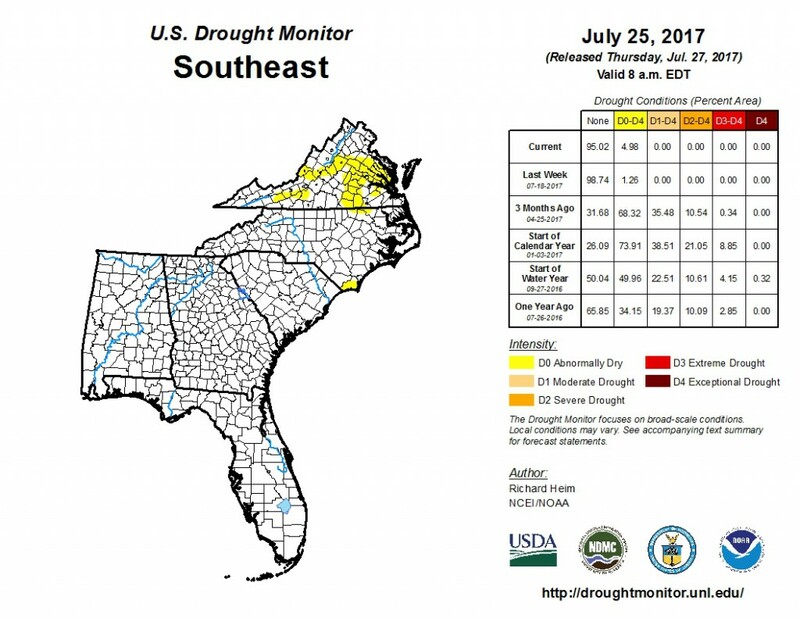 For all 50 U.S. states and Puerto Rico, the U.S. Drought Monitor showed 10.38 percent of the area in moderate drought or worse, compared with 10.03 percent a week earlier. Drought now affects 18,603,590 people, compared with 18,952,283 a week earlier.